Running with SD Mom: Check In: NY Resolutions and Premier Protein Bananas & Cream Announcement! Check In: NY Resolutions and Premier Protein Bananas & Cream Announcement! Remember when I told you my New Years Goals involved spending more time with my family? Well, I want to report monthly with how I am doing with that! But before I get to that, I want to tell you about the re-launch of the Premier Protein flavor - back by popular demand Bananas & Cream. You have to admit - that is a smoking' deal! 18 packs for just $19.99. Better believe that SD Dad and I stocked up! I have been having a blast spending time with my favorite two little people! We did a 5K together - sharing what I love with the people I love. I have been making my time with them count. We went to Disneyland! And of course, Premier Protein went along...perfect snack for a mom on the go! I have been managing to spend some time with myself for myself too! 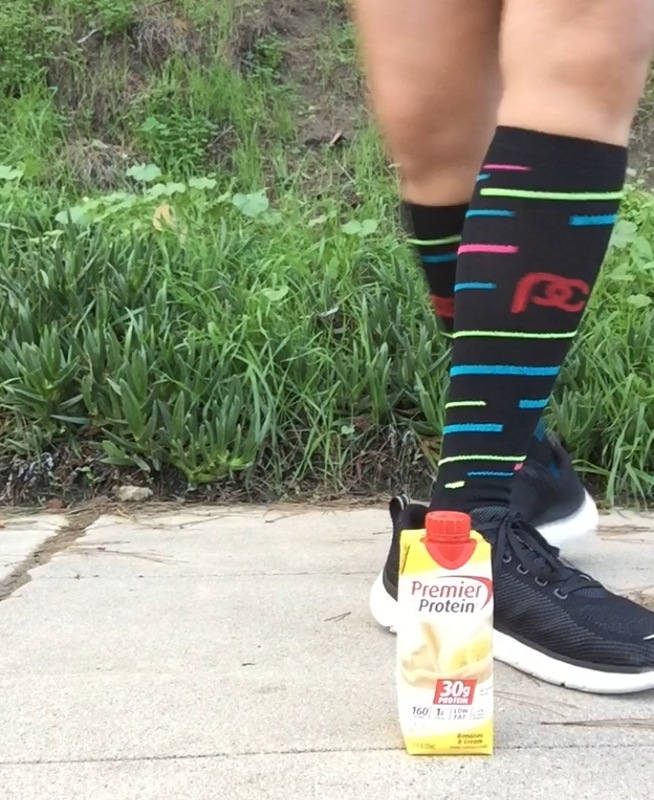 The Premier Protein ready to drink definitely comes in handy on those along solo runs when I get HANGRY! So, is the bananas and cream flavor any good? umm...yeah! Why do you think it is being reintroduced? It definitely has a banana flavor but not too much and it is VERY sweet! SD Dad has been using the drinks after his extra hard bike rides too! So, tell me! Have you stuck to your New Year's Resolutions? I am so happy I have because family time is the greatest reward! Disclaimer: This post was sponsored by Premier Protein through my ambassadorship with Fitfluential. All opinions are my own. Good thing I have a Costco run planned for this weekend!